Interest rates are low. The minimum APR is 15.24%. Maximum APR is 19.24%. The card has many good travelling services. No foreign transaction fee feature will allow you to purchase from abroad without any payment. Rewards points rate is very good. Besides you can pick a purchase category for yourself. You can learn bonus points if you spend with the card. You don't have to pay annual fee in the first year. Only available for a few states of United States of America. 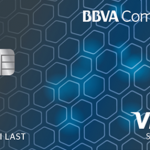 BBVA Compass Select Credit Card is one of other awesome product of BBVA. However this card is only available for Texas, Alabama, Florida, New Mexico, California, Arizona and Colorado. If you are living out of those states, you can also check alternative options of BBVA Compass. You can select your purchase category for rewards and you can start to earn 3x and 2x rewards. If you spend $5000, you are going to earn 1000 rewards points bonus as an additional bonus. 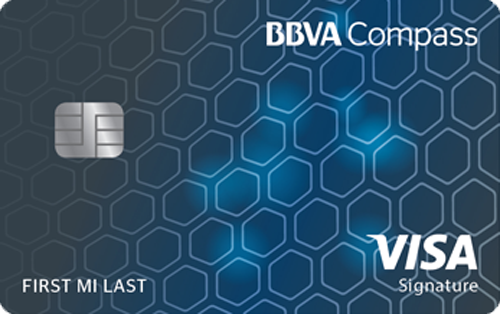 There is no limitation at gaining rewards points with BBVA Compass Select Credit Card. Low interest option of the card is also very attractive for consumers. Minimum APR is 15.24% and maximum APR is 19.24%. Besides you will not need to pay for foreign transaction fees. The card has $125 annual fee. However you will not pay it in the first year. 4% Cash Advance and Balance Transfer fees are good. Cash Advance APR rate is also very low: 24.24%. You can also learn more with read user reviews below. You can also add your reviews for this credit product too. These bonus rates are really bad. I will spend $5000 and they will return me $10 worth rewards points? Lol.This is madness. No, thanks. It doesnt even worth to apply.